OK. Just admit it. You saw the word "coffee" in the title and you knew it had potential right? It's OK, I am the same way. As much as I love coffee I don't have a ton of coffee recipes. 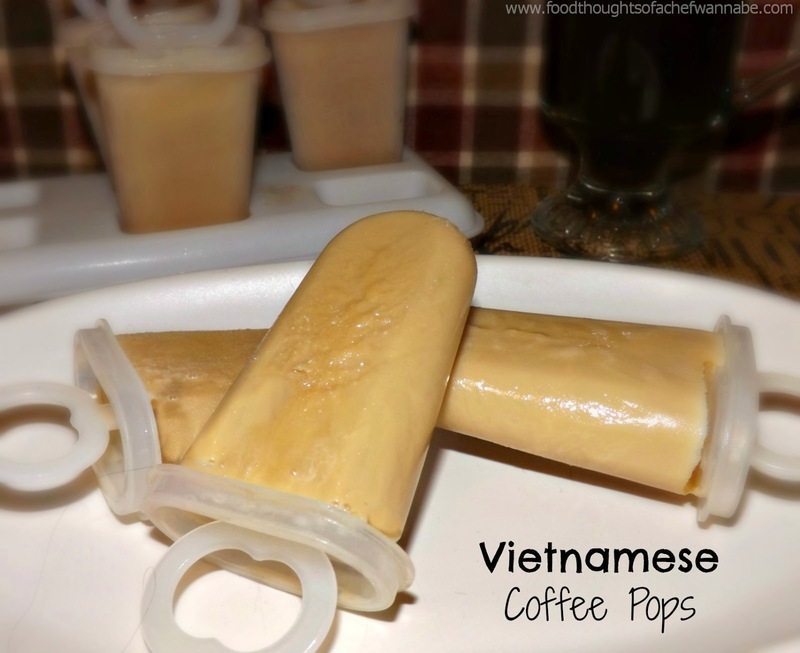 I was recently introduced to Vietnamese Coffee and just knew immediately it had to become the next victim of my retro Tupperware popsicle molds! This has 2 ingredients, yes, TWO! You understand that this now gives you permission to have popsicles in the morning, right? What? You didn't need an excuse? Awesome! Now traditional Vietnamese Iced Coffee calls for a French press coffee pot. Listen, I wasn't going to go buy one for one recipe. I know, I should have one anyway because the coffee is amazing but truth be told, I brewed a cup of French Dark Roast in my Keurig and it was perfection. Here we go, now make notes, this is going to be a process, but the lovely part is, that while the "process" is happening you can be drinking your coffee HOT! Combine both ingredients with a whisk. When combined, carefully pour into molds. Let freezer overnight for best results in my opinion. These are a cold, refreshing pick me up that should not be experienced by every coffee lover alive!